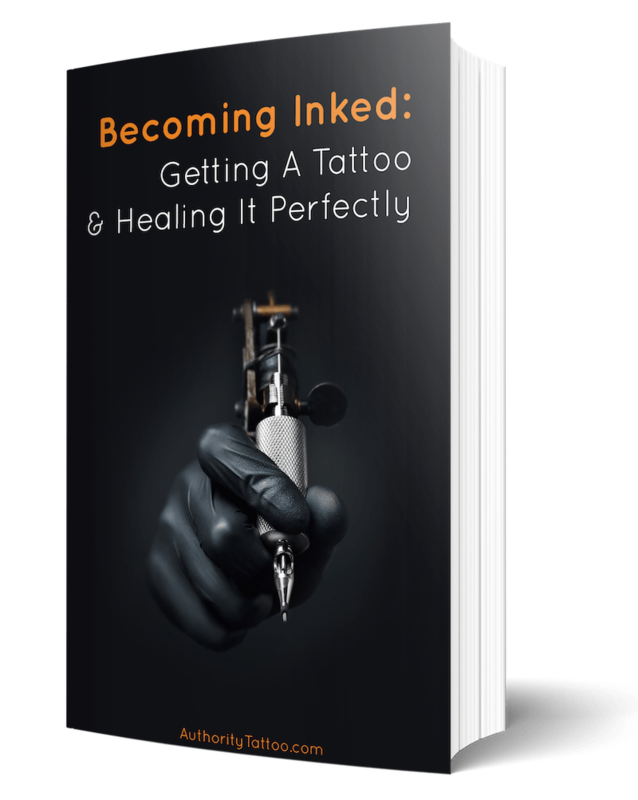 After getting a new tattoo, the area of skin becomes very sensitive, and it has to work hard over the next 2-3 weeks to heal itself from the trauma caused by the needles during the tattooing process. One aspect of tattoo aftercare which seems to confuse many people is how to choose which lotion is best to use on a new tattoo. Due to the huge array of lotions, creams and ointments that are commercially available as skincare products, it can be very difficult to spot which ones are actually helpful at aiding a tattoo while it’s healing, and which ones can actually do more harm than good. Which Lotions, Creams & Ointments Can Be Used On New Tattoos? These are the products that are specifically created in order to be used during the tattoo aftercare period. They normally contain blends of ingredients and nutrients that are great at aiding the tattoo as it heals. As well as nutrients, these tattoo aftercare products are designed to ensure that they cause as little irritation to the sensitive area of skin as possible. This means that they are usually largely made up of completely natural ingredients, and don’t contain anything that would cause skin irritation, such as harsh chemicals or artificial colors or scents. Many over the counter moisturizing lotions will be perfectly fine when used on a new tattoo. If looking for a moisturizing lotion in a supermarket or online, make sure it contains primarily natural products, and contains no artificial color, scents and preservatives as these very often cause irritation to the skin around a new tattoo. Most popular skincare brands sell products for sensitive skin that clearly state on the labeling that they color and scent free. Other, more specialized products such as aquaphor and neosprin can also be used on a tattoo. Many people nowadays have started to go completely natural with their tattoo aftercare, and have begun applying 100% completely natural products to their healing tattoos. Many popular products such as coconut ﻿﻿﻿oil and cocoa butter contain tons of goodness within them, not to mention they normally feel/smell amazing (these are natural scents, and are nowhere near as irritating as artificial ones). This means that they can be great to use on a tattoo during the initial (and most important) healing phases. However, although completely natural, these products can still cause irritation to a tattoo depending on skin-type and sensitivity. Therefore it’s usually recommended to initially use a specialized tattoo lotion (as mentioned above) and wait until a tattoo begins to scab over beginning to use a natural butter or oil. Any petroleum-based products such as vaseline should not be used on a new tattoo. These products are non-porous (air & water-tight), meaning that they can stave the area of the oxygen that it requires in order to efficiently heal. We’ve actually written a whole article explaining why vaseline should not be used on a new tattoo. Whilst many people acknowledge that applying lotion to a tattoo is generally a sensible thing to do; some people are unsure about what the lotion actually does in order to aid the tattoo. As a new tattoo begins to heal, it is initially very damaged (and is essentially just a large open wound). The tattoo will therefore go through quite a few different stages of the healing process before the skin is completely repaired. As the skin repairs itself it can become very dry. This dryness can cause problems such as irritation and itching, and can cause scabs to crack and bleed. By applying lotion on a tattoo, the skin will begin to absorb it, allowing the area to re-hydrate and become more elasticated and supple, helping to speed up the healing process and to prevent any undesirable symptoms. Many creams and lotions that are available are specially formulated to ensure that they contain the perfect blend of vitamins and nutrients that your skin is able to absorb and use in order to improve and speed its healing abilities. Sometimes a new tattoo can be very sensitive to various materials and products, and can become irritated by merely rubbing against something. This irritation can present itself as redness, a rash or sometimes quite intense itching. Applying a good lotion to the area can help to calm the skin down and reduce the above symptoms. Once a tattoo reaches a certain point in the healing process it will begin to peel. This peeling can look very unsightly as large chunks of skin pull away and dangle down from wherever your healing tattoo is situated on your body. Although you should never pull loose skin away from a peeling tattoo, applying lotion can help to mask the peeling skin as it’s slightly damp texture will help to fold down the loose skin and keep it pinned down tight against your body, helping it to look less ugly. Certainly! 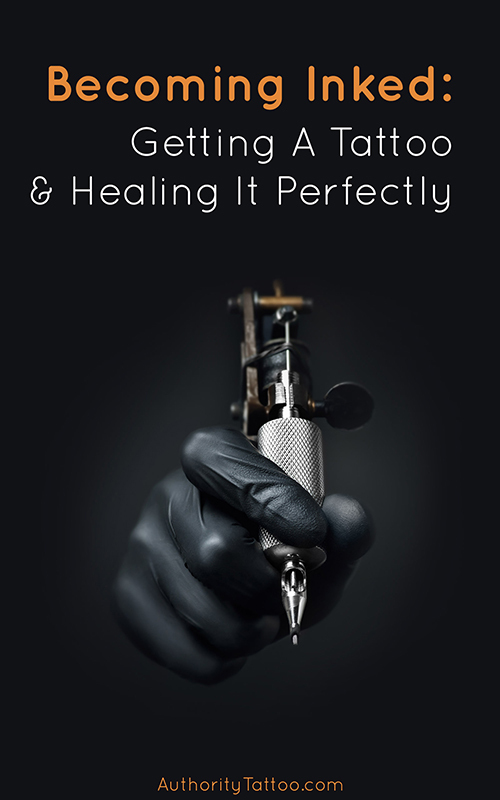 Many people believe that once a tattoo has finished healing, it no longer needs to be maintained and moisturized. This however is very wrong. A tattoo will only ever look as good and as healthy as the skin that it’s on, and therefore you should aim to keep your tattooed skin as well nourished and as hydrated as you possibly can. This not only ensures that your tattoo continues to look fresh and vibrant for as long as possible, but many skin moisturizing lotions contain subtle anti-aging properties than can help to keep the tattooed area stretchy and well-elasticated - helping to prevent your tattoo from looking distorted and faded as it ages. Whilst the amount of skincare products on the market today can make choosing what kind of lotion to put on your tattoo quite confusing; your decision shouldn’t be too important as long as you stick to the product types that are mentioned above. As long as you pick something that is moisturizing, nourishing and mostly natural, you shouldn’t go too wrong, and your tattoo should proceed to heal beautifully.